Going for brunch is up there with my favourite things and in Bristol we’re spoiled for choice. 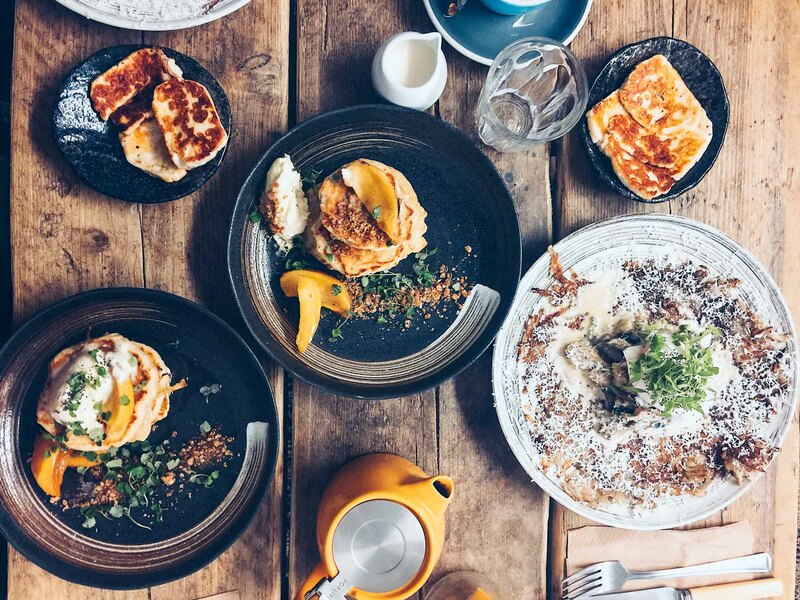 There’s even a cafe inspired by the king of brunch, Melbourne, and it’s as good as the ones you find there. From cosy little farm-style kitchens to more polished affairs, there’s plenty of styles on offer, and I’ve been steadily trying all of them since we arrived. 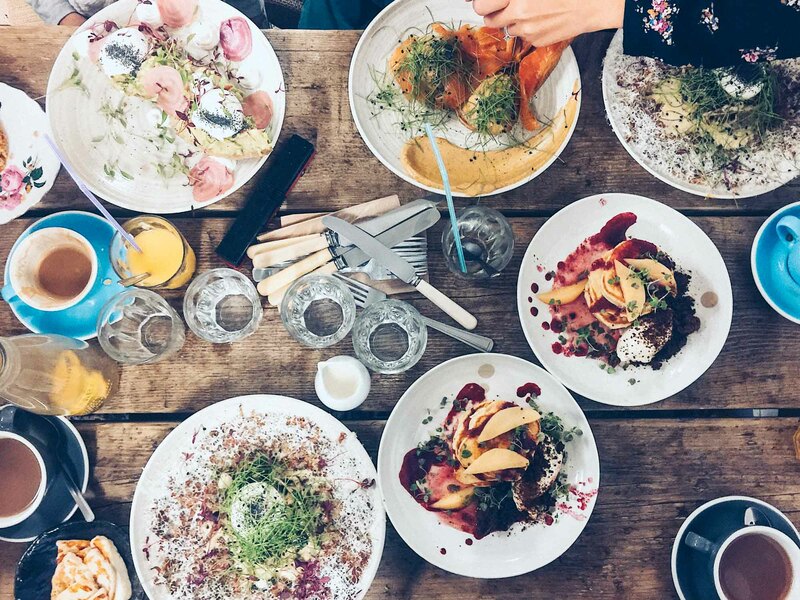 This is my round-up of the best brunches in Bristol. As a vegetarian, I’ve focused on the veggie side of things, but all these places serve meat too if that’s what you’re after. If I had to choose one favourite, it would be Ceres in Stokes Croft. 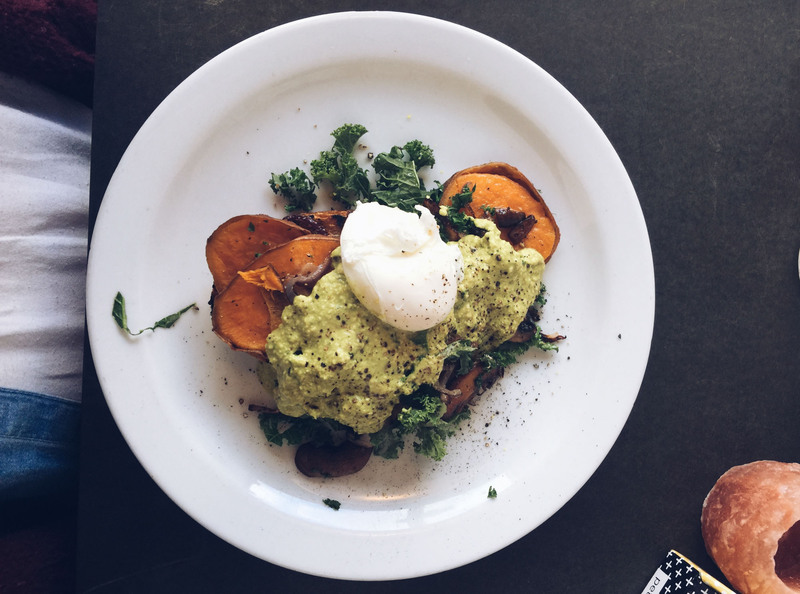 This is the Melbourne-inspired cafe, and, as would be expected, it serves an inventive menu of hearty brunch dishes, devised by owner chef Dan who’s worked with Heston Blumenthal. A standout dish is Small Victories, a potato rosti topped with creamed spinach, egg and parmesan. I’m also a huge fan of the indulgent fat pancakes, which change flavour with the seasons. You can even order a small portion if you want a brunch dessert! 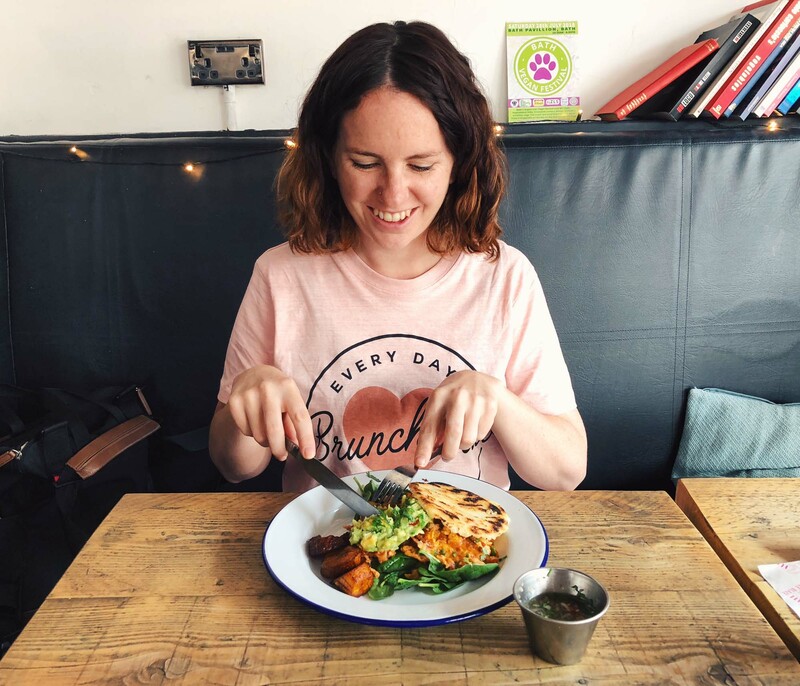 If you follow me on instagram, you’ll see I often chat about the cakes in Spicer and Cole, which are among my favourite in Bristol, and they also do a great breakfast menu, including a full veggie breakfast. Plus you could always opt for a cake brunch. The muffins are wonderful! There are a few different branches of Spicer and Cole in Bristol – in Clifton, Gloucester Road and on Queen’s Square. Dela has fast become one of Bristol’s best restaurants. With a heavy Swedish influence, the restaurant specialises in seasonal sharing platters. Brunch is served on weekday mornings and Saturdays and includes some incredible baked eggs as well as an amazing selection of pastries and tarts. When it opened in 2017, it became an instant favourite. 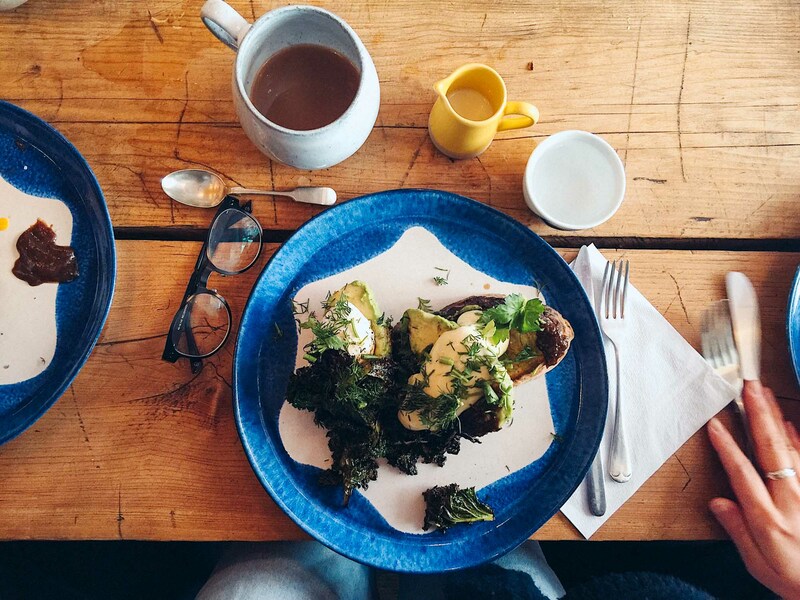 Rosemarino was one of the first places I had brunch in Bristol and it retains a space in my heart. The bright and breezy cafe near Clifton Village is ideal for groups and is especially nice in the summer months when you can sit outside. The mushrooms on toast are excellent, although I’m not such a fan of the veggie breakfast, which is a little rich for my taste. Although saying that, I do love the inclusion of a cheese soufflé! At the Well is my most local cafe and another favourite for cakes (especially during the Great British Bake Off when the owner makes the technical challenge every week!). It has a simple but well done all-day brunch menu, including classic boiled egg and soldiers for a slice of nostalgia. The cafe is best known for its pancakes, which are a perfect example of the American style. I always go for the blueberry ones, but non-veggies love the transatlantic option, which comes with a decadent mix of scrambled eggs, mushrooms, streaky bacon and maple syrup. The cosy cafe doubles as a laundrette. A popular Easton option is Este Kitchen, a cute little cafe with a Latin American twist. The Latin American influence can be seen in dishes like acai bowls, arepas, pan con tomate and homemade chorizo. But there are also brunch favourites, including french toast and avocados with eggs. 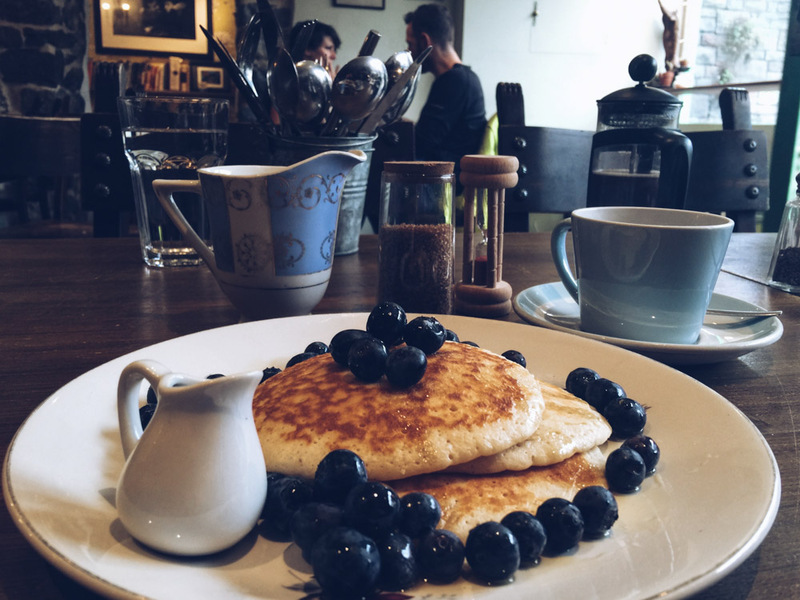 When I went, they were also serving excellent buckwheat pancakes, which is something I’ve struggled to find elsewhere in Bristol. Bakers & Co is part of the group that also runs Bravas in Clifton and Cargo Cantina in Wapping Wharf. All three are influenced by places around the world, with Bakers & Co taking its inspiration from the farm-to-table foodie scene in San Francisco. The food is spot on, including some excellent huevos rancheros and perfect mini dutch pancakes. 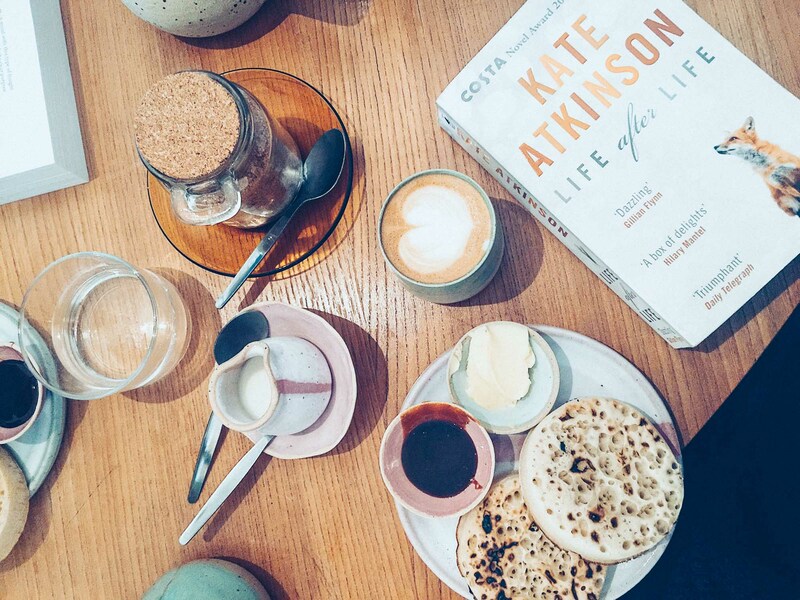 The coffee is also great and all is served with a relaxed, friendly atmosphere – they’ve nailed the Californian vibe. 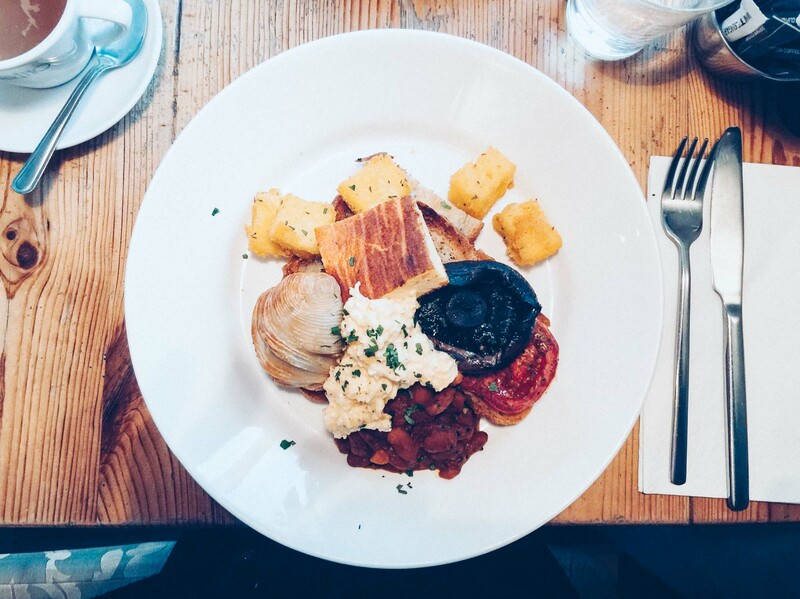 Getting a booking at Brace and Browns for brunch isn’t easy; it often gets booked up weeks in advance, which is of course testament to its popularity, which mostly hinges on its amazing bottomless brunch. For £32.50, you get two hours to enjoy as much food and fizz as you like. There’s even a build-your-own bloody mary bar. The choices for vegetarians are plentiful, so you definitely won’t feel short changed. This is a must for special occasions. 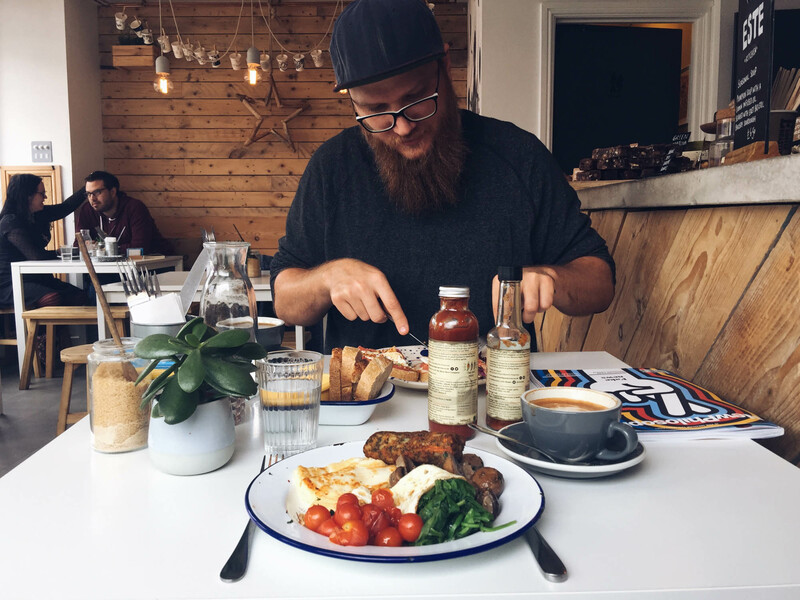 If you’re looking for a light breakfast, Albatross Cafe in Southville is a charming option. When I first saw it, it reminded me of the places I used to frequent in Berlin, so I wasn’t surprised to learn that it’s inspired by the city’s cafe culture. 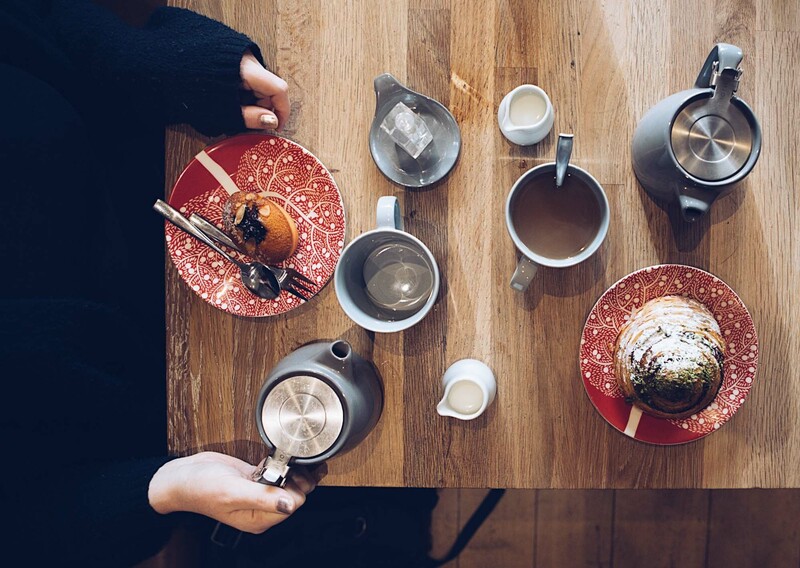 Filled with plants and colourful ceramics on sale, the cafe serves a small seasonal menu, including homemade baked beans on sourdough and a selection of delicious crumpets. It transforms into a popular bar at night. White’s Botanicals was a beautiful new addition to Bristol’s cafe scene in 2017. The bright, foliage-filled cafe serves wholesome, nourishing food with lots of vegetarian and vegan options. 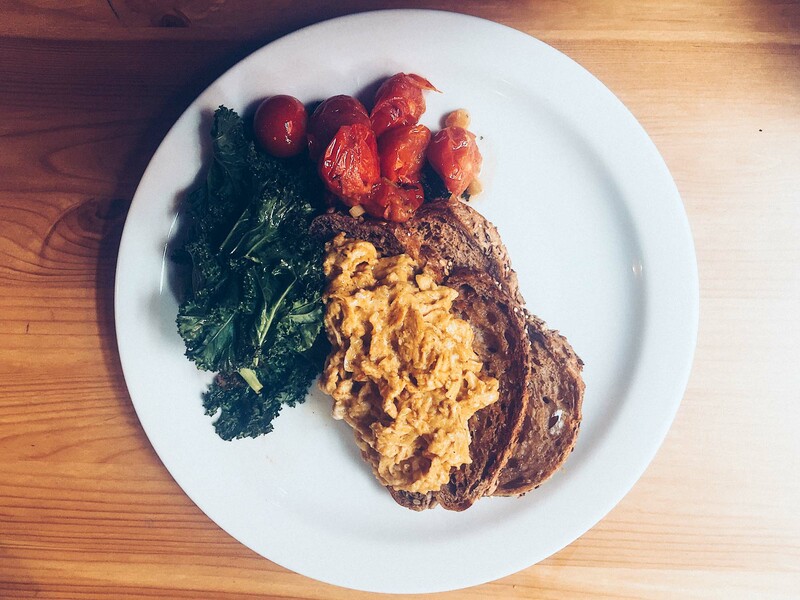 The turmeric scrambled eggs are particularly good, although next time I’ll be tempted by the make-your-own granola option. My only complaint is that they currently don’t open at the weekend – I’m looking forward to when they do! Bakesmiths on Whiteladies Road is an ideal place to go with your laptop. There’s plenty of space, so you don’t feel you’re overstaying your welcome, plus there’s lots of excellent treats to keep you going. It’s a micro-bakery, so the focus is on bread, and the brunch menu includes a variety of topped toasts and rolls. My past favourite was roast squash and garlic kale with tamari and honey seasoned seeds (pictured above) although that’s not on the current menu (hpping it might make a come back in the future though!). If you’re looking for something a little healthy, I recommend heading to East Village Cafe in Clifton. 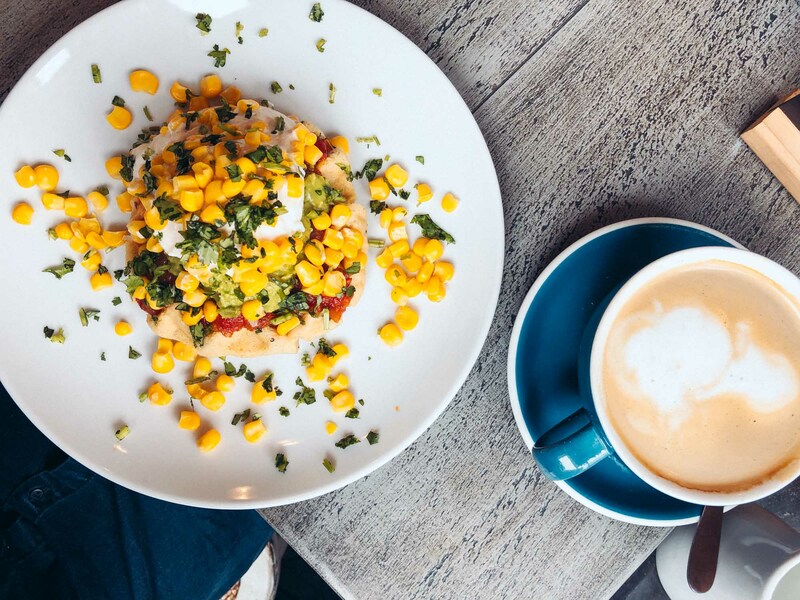 The light and airy, plant-filled cafe serves an exclusively vegetarian menu, including inventive dishes such as a savoury corn and quinoa waffle. 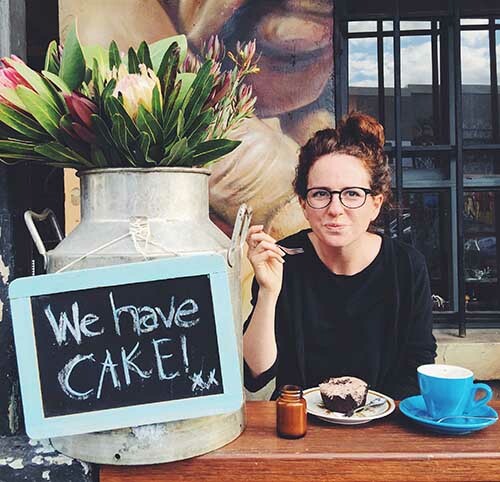 There’s also a good selection of cakes, juices, smoothies, and colourful superfood lattes. It caters particularly well with those who are gluten-free. Corner 77 is a temporary Bristol venture that hosts a changing selection of pop-up kitchens. 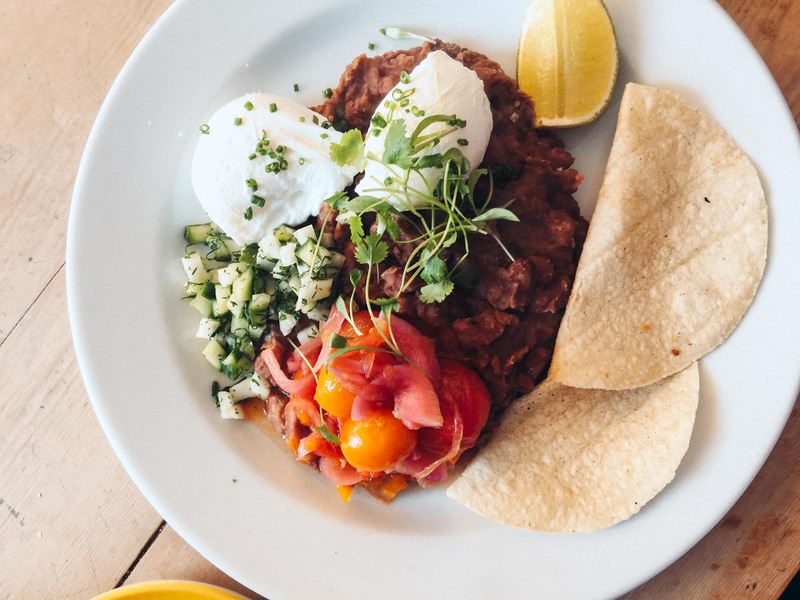 Currently Maize Blaze takes the daytime weekend slot, serving up a delicious range of Columbian street food, including things like scrambled eggs with arepas, plantains and red beans. 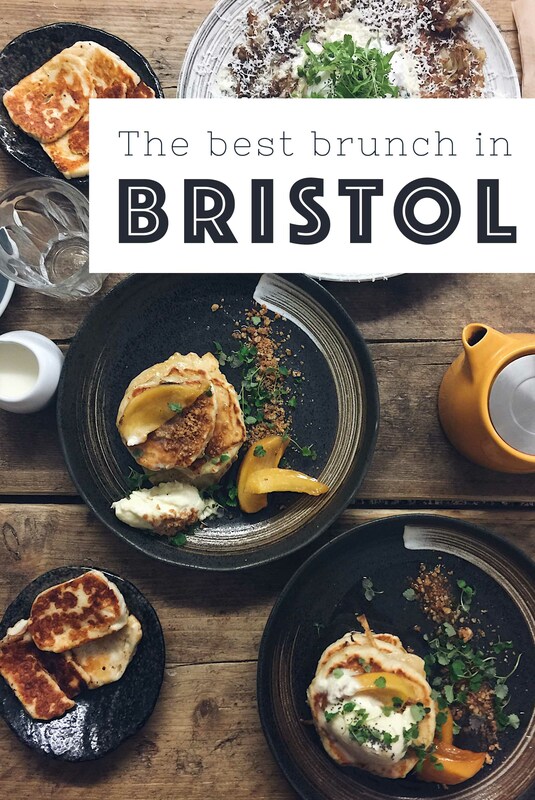 It’s all absolutely delicious and an exciting addition to Bristol’s brunch scene. I’m hoping it’ll stick around longer than its residency at Corner 77. Katie and Kim’s was another of my go-to places, but sadly it’s currently on hiatus while the owners look for a new location and take a break. I’m still including it because I’m ever hopeful it’s going to pop up again soon at any moment. In the old location on Picton Street, everyone sat around one table in the tiny, rustic cafe where the chef achieved the mean feat of cooking for everyone from a minuscule kitchen behind the counter (perhaps why they wanted to move!). The food was home-cooked heartiness at its best, serving a daily changing small menu of dishes, including favourites such as rosemary and cheddar scones with eggs and greens. I’m yet to meet anyone who didn’t love it. Let me know if there any others that I need to try! If you liked this post, you might be interested in some of my other vegetarian guides. 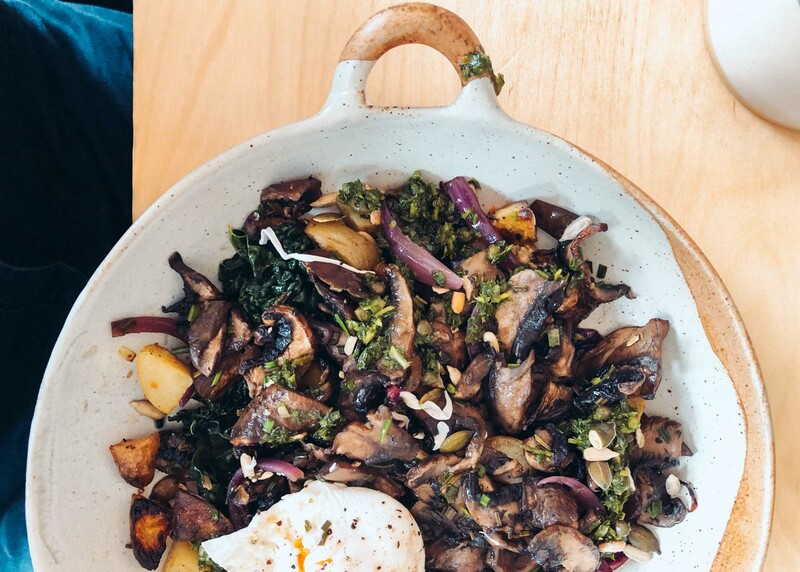 Here’s one for the best vegetarian-friendly restaurants in Portland, Oregon; and another for a vegetarian road trip around Slovenia.